Love taking photos? 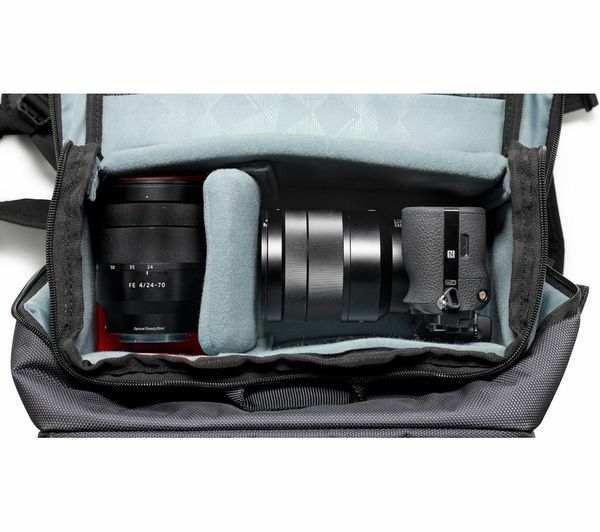 Then you'll want a backpack that lets you carry all your photography equipment. 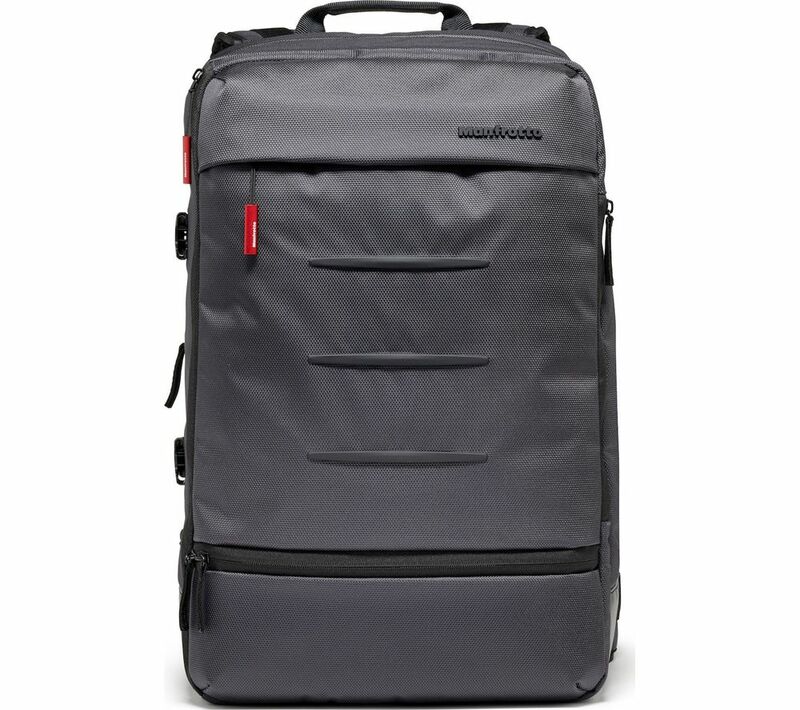 The Manfrotto MBMN-BP-MV-50 Manhattan Mover-50 Backpack is suitable for amateur and professional photographers. 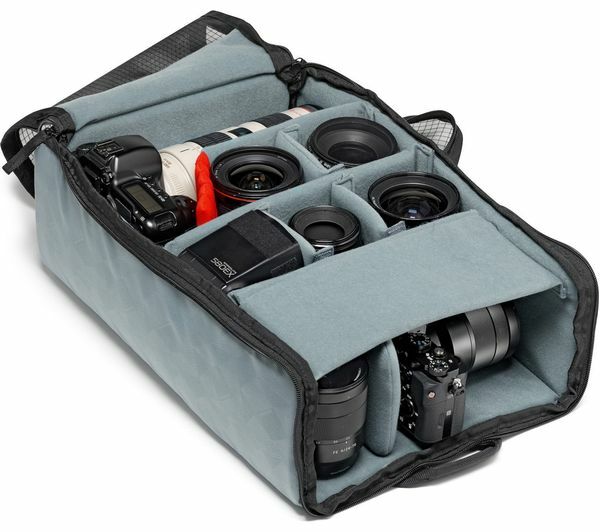 It has room inside for your DSLR camera, your camera lenses, laptop, and a tablet. That's everything you need to take photos and edit them on-the-move. Make the most of the space inside your bag, with adjustable and removeable dividers. That way you can store cameras and lenses of almost any size, and still have room inside for accessories and memory cards. There's eight compartments, and five pockets to store everything you'll want to take on a photo expedition. The bottom of the Manhattan Mover-50 is easy to clean, so don't worry about taking your backpack on shoot locations that can get messy, such as muddy plains in wet weather. 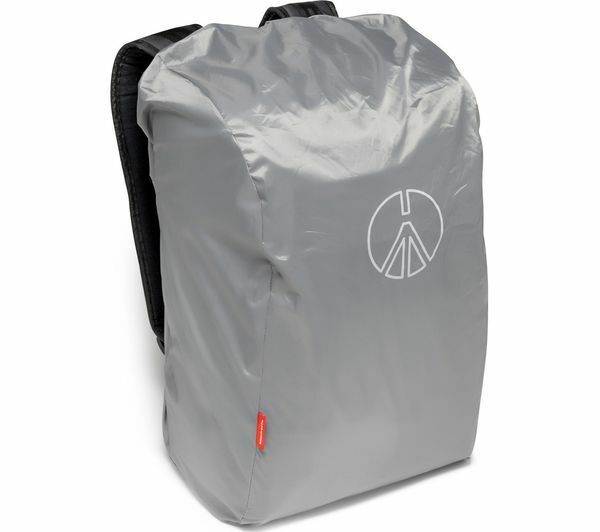 The rest of the bag is treated with water repellent and a rain protector. There's also a rain cover, just in case you and your equipment get caught in a soggy downpour. Your stuff inside will stay nice and dry.